Coach Anniballi enters his 30th year at Natick and his 26th as Head Coach. During that time he has guided the Redmen, Red & Blue and now the Redhawks to 22 Bay State Conference Titles, 12 Sectional Titles and has coached over 160 individual state place winners. Coach Anniballi has twice been named as the Boston Globe ” Coach of the Year”. In 2010 coach Anniballi was inducted to the Massachusetts Interscholastic Wrestling Coaches Association Hall of Fame. He serves as the Director of Wellness for Natick Public Schools. Coach Sinclair enters his 14th year with Natick. After an outstanding wrestling career at NHS which culminated with a 3rd place finish at the New England Championships, coach Sinclair took his talents to Norwich University where he captained the team his senior season. 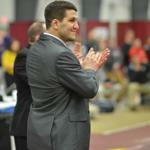 Coach Sinclair was a multiple "All New England"wrestler including a College Division III New England title in 2000. At the NCAA tournament, he finished one round away from earning All-American Honors. He is a Physical Education teacher at The Learning Prep School in West Newton,MA. Natick Wrestling is proud to announce that Jimmy Hamel, NHS ‘06, will be joining the Natick staff this season. Jimmy is one of Natick’s most decorated athletes. He was captain of both the Wrestling and Lacrosse teams at NHS and was a starting nose guard for the ‘05, 14-0 NHS Football Superbowl Champions. Hamel had a storied wrestling career while at NHS. He was a 2x Boston Globe All-Scholastic, 2x Bay State Conference “Wrestler of the Year” as well as a 2x MA All-State Champion. At the 2006 All-State Tournament, Hamel was voted the Outstanding Wrestler. For his high school accomplishments , Hamel was selected to Wrestling USA's Honor Mention All-American Team. His overall varsity record stands at 114-23-0. Hamel continued his career as a scholarship wrestler at the University of Buffalo. While at Buffalo, Hamel was a 2x NCAA D1 qualifier and became only the 5th U.Buffalo wrestler to earn 100 career wins. Since graduation, Hamel has coached at the college level at Niagra Falls CC, Boston University and the past two years at Springfield College where he was the "upper-weights" coach. While coaching at SC Hamel earned an MBA. Although coach Hamel will be working with all NHS wrestlers, his primary responsibility will be working with our upper- weight wrestlers. Coach Hamel brings a wealth of knowledge and experience to our staff, both as a Division 1 Athlete and with several years of coaching at the college level. Nick is entering his 4th year as a coach with the Natick Wrestling Program. Nick is a high school mathematics teacher at Natick High School where he also serves as an assistant varsity football coach. In addition, Nick coaches for the Milford Special Olympics Program where he has serves as the head coach of the Power Lifting Team and the Wrestling Team. Nick won the 2008 Division II State Championship at 171 pounds . He was a 3x Mid-Wach All-Star, 2x D-II Central Sectional Champion, 2x All-State Place-Winner, and a 2x New England Place-Winner (3rd as a junior and 4th as a senior). A 2015 inductee into the MA High School Wrestling Hall of Fame, Nick also owns the Milford High School record for career wins: 142 - 24. Coach Guidice enters his 5th year with the Redhawks. He is the co-head coach for the Natick Middle school Team. A former college wrestler at Cortland State, the Long Island Native has made Natick his new home. Coach Guidice is a Physical Education teacher at NHS and is also a Freshman Football coach. Coach Dombroskas is entering in his 6th year with Natick wrestling. His role includes but is not limited to coaching, clerking, apparel, officiating, and fundraising. Rob Dombroskas wrestled with Springfield College from 2004-2008. Coach is now a Physical Education teacher at Brown Elementary. Coach Buono enters his fourth season as the team’s Strength & Conditioning Coach. He has been recently appointed as the new Strength & Conditioning Coach for all of NHS. He is responsible for training our athletes off the mat . Coach B created the “TAN Award” (Tough As Nails) . Five wrestlers annually get recognized at the banquet for their outstanding work ethic and effort during Coach Bruno's brutal strength training workouts. Coach Buono is in his 5th year at NHS as a Wellness teacher at NHS. Coach Ramstrom has been involved in Natick youth wrestling since the early 90's. 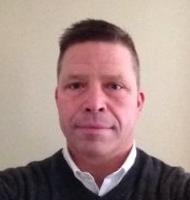 He is currently the head coach of the Natick Elementary team. A 1985 graduate of NHS, coach Ramstrom captained the wrestling team and was a stand out lineman on the NHS football team that did not lose a game during his high school career . ©2019 Natick Wrestling / SportsEngine. All Rights Reserved.